Delhi is not surprisingly one of the most popular cities in India in terms of annual tourist numbers and as you might expect, there are a good choice of hotel options ranging from backpacker hostels through to luxury hotels and recognized international brands. Although in general Delhi is not considered an expensive city, this is certainly not the case where its five star hotels are concerned. The centrally located hotel chains such as Taj and Oberoi located in central and southern Delhi certainly command a high price. This ranks as the top hotel in Delhi having been awarded Travel + Leisure World's Best Hotel award and it was also the winner of the Tripadvisor excellence award in 2014. 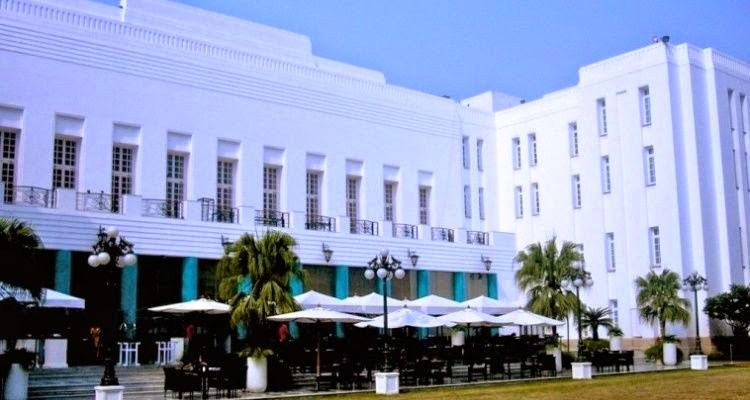 The Imperial Hotel is without doubt one of the best five star hotels in Delhi and provides a perfect combination of colonial charm and modern facilities with 43 ultra luxurious suites and 190 rooms. Without question, the Taj Mahal Hotel is one of the finest hotels in Delhi. Located at number one Man Singh Road, the Taj Mahal Hotel is part of the Taj Group of luxury hotels. The Taj Mahal Hotel is a perfect example of Mughal Architect, made of red stone. It is a 12 floor building with about 294 suites and rooms offering luxurious services including a five star restaurant, bars, banquet halls, a beauty centre, fitness centre and a luxury shopping zone. The list doesn’t finish here though as there is a lot to experience at the Taj that we couldn’t describe in words! 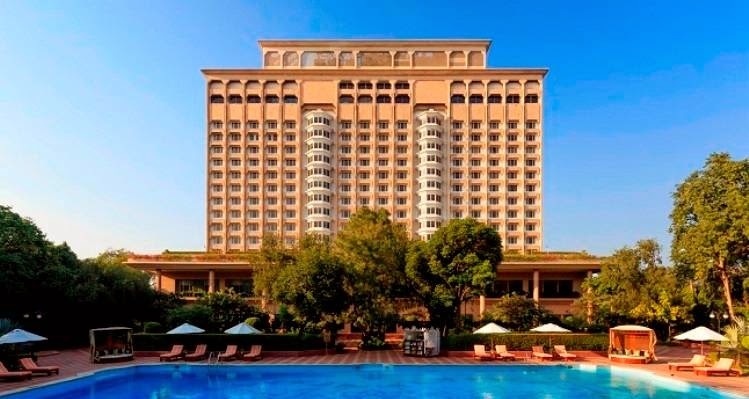 One of the Oberoi Hotel Group's five star properties, this was one of the first luxury hotels in Delhi. The Oberoi Hotel is situated in a lush green area with palm trees. It offers a breathtaking views of Delhi's golf course one side and the historic monument of Humayu’s Tomb on the other side. 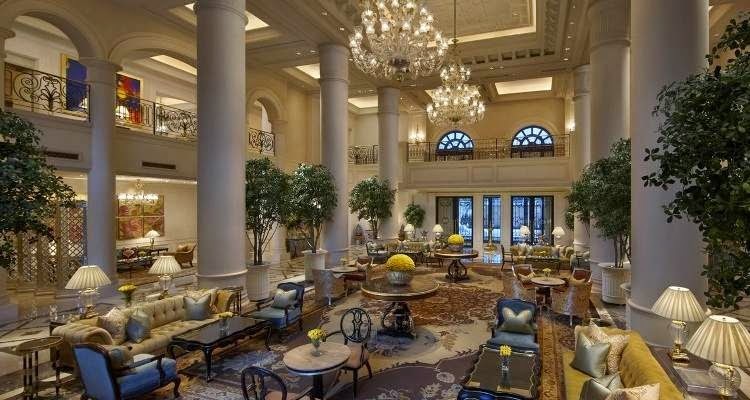 Run by the Hong Kong based Shangri-La hotel chain, this is yet another hotel renowned for its super luxury services. 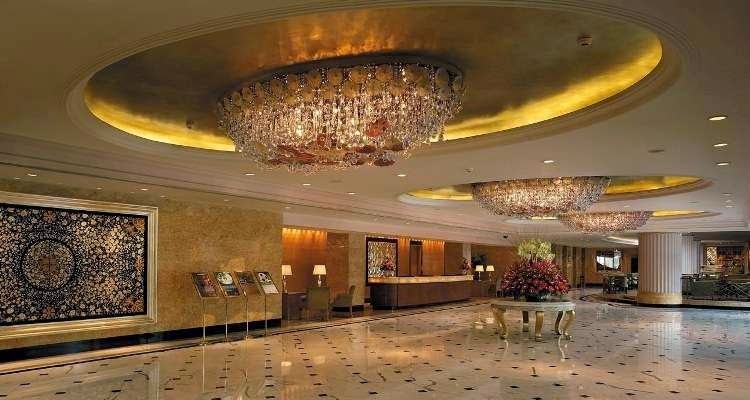 The Shangri La Hotel Eros is situated at Connaught Place near to Government offices and the commercial and shopping hub of Delhi. In terms of facilities and services, Shangri La offers 24 hours free broadband internet, bequest hall, four restaurants, bars, meeting rooms, a health club, a spa, a fitness centre, a beauty centre, a shopping zone and much more besides. Another hotel from the Taj group successfully makes it onto our list for its amazing five star services and facilities. Sprawling over in six acres in Delhi’s diplomatic enclave Chankyapuri, it is just 10 minutes away fro IGI airport. The Taj Palace is a favorite of tourists from around the world. It has more than 400 rooms and suites including a Garden Presidential Suite, Presidential Suite and Tata Suite. Services and facilities: The Taj Palace has luxury and super luxury suites with 7 restaurants and bars, banquet hall and conference centre, onsite catering, a gift shop, a business centre, outdoor pools, a health club, video conferencing and many more top class services and facilities to meet the needs of the most discerning of guests..
Also known as The Aman, the Lodhi Hotel is located on the lush green Lodhi Road and near the historic Humayun's Tomb. It is close located quite close to the golf course. In terms of facilities, the Aman Hotel has two restaurants, a bar, lounge, swimming pool, tennis courts, squash courts, a spa and treatment rooms, a beauty salon, a pool, cafe and much more besides. In terms of rooms, the Aman Hotel has 68 rooms and 8 suits all with state of the art modern facilities. 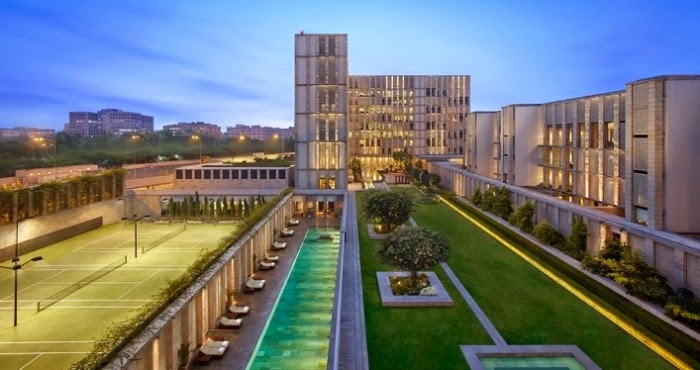 One of the hotels of the Leela Group, located close to the diplomatic enclave at Chanakyapuri and the offices of the Indian Prime Minister as well as a number of embassies. This hotel is built in the shape of a butterfly; its architecture inspired by Lutyens and embellished by Mrs. Madhu Nair. Leela palace has about 260 rooms and Royal clubs and suites including a presidential suite. The main features of this hotel include banquet and meeting halls, a business centre, a fitness centre, fast internet access, a pool, spa, shops, a theatre and even a museum. One of the largest of Delhi's hotels with 500+ rooms and suites, all equipped with modern amenities including 24 hour dining options, fast and free internet access etc. 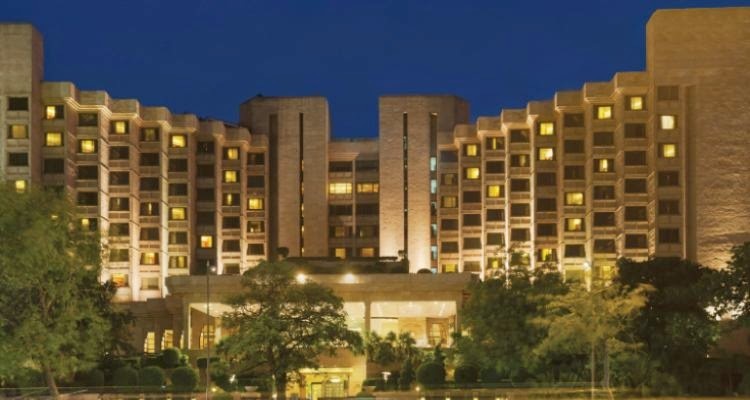 The Hyatt regency is located in Delhi’s commercial hub at Bhikaji Kama place, about 25 minutes away from IGI airport and about 20 minutes from the city centre. 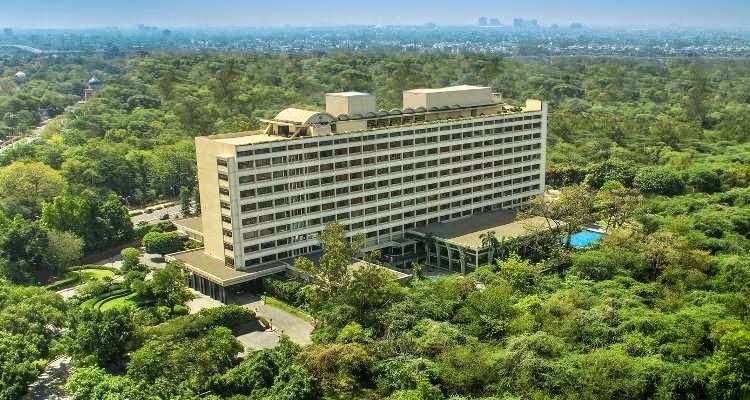 The Hyatt Regency is equipped with a café, polo lounge, a fitness centre and spa, a swimming pool, yoga class, restaurants, transport assistance, a money exchange facility and much more. 18.2 km about 25 minutes drive. 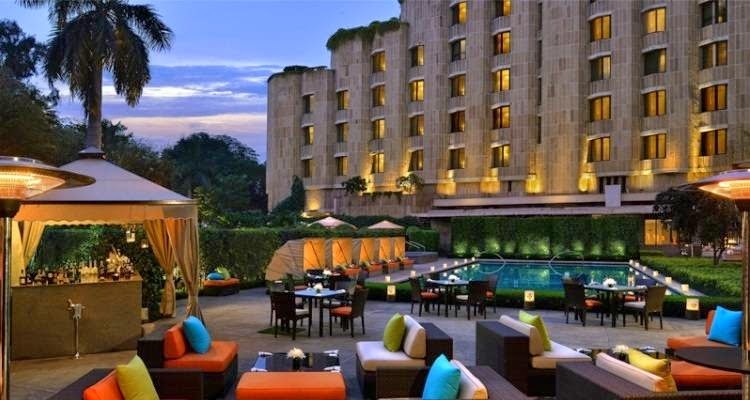 The Lalit Hotel is located in the centre of Delhi in the commercial and shopping hub at Connaught Place and close to two of Delhi’s historical monuments – the Red Fort and Jama Masjid. 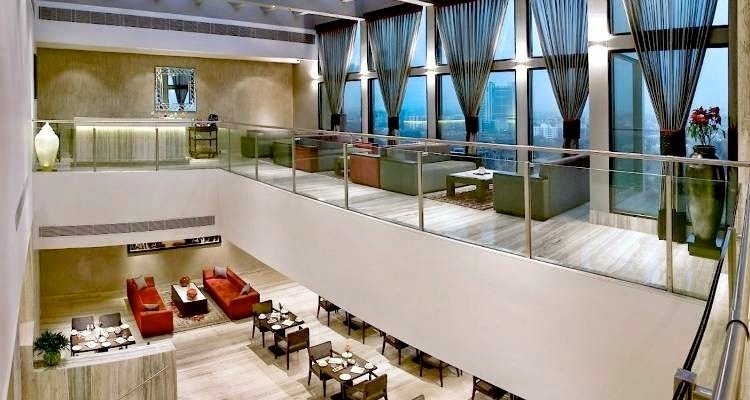 The Lalit Hotel is an 18 story building with more than 450 rooms and suites with modern amenities. The Lalit Hotel is equipped with all modern facilities including a concierge desk, business centre, spa and fitness centre, a foreign exchange, shopping arcade and much more. Part of the ITC group of hotels, the Maurya is another hotel located in the diplomatic enclave at Chanakyapuri. The ITC Maurya is named after the Maurya dynasty. 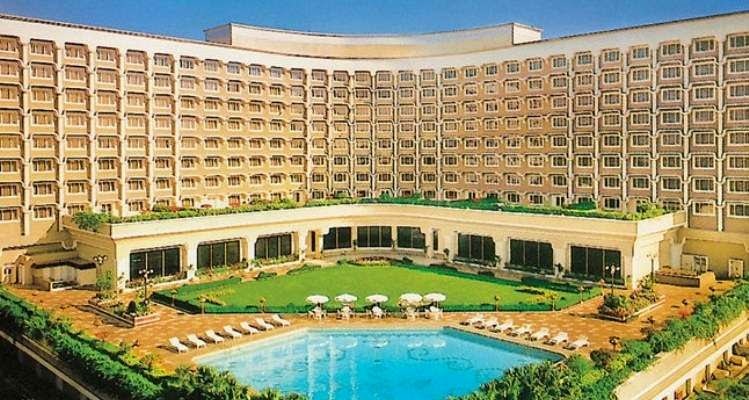 The ITC Maurya has 463 rooms and suites that include a presidential and grand presidential suites, equipped with facilities like electronic safe, daily newspapers, bottled drinking water, tea and coffee making facilities, personal amenities etc. The Hotel ITC maurya has a concierge desk, business centre, a spa, beauty salon, health club, swimming pool etc.